If you are not on our church-wide text alert system, please text "@jfbc" to (501)781-0846. Find Sunday sermons, current bulletins, and other interesting tidbits by using the "Info Center" tab. 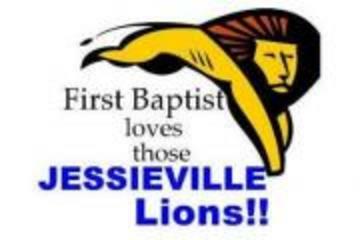 You have found the Jessieville First Baptist Church website! Welcome! Nestled in the beautiful Ouachita National Forest and just 5 minutes north of Hot Springs Village, Jessieville Baptist Church is a regional church that both ministers to and is on mission with people throughout the entire Hot Springs Area. If you have been looking for a church family that will love, care for, and accept you and your family, then your search is over! Not only will you find those needs met, but you will be spiritually, emotionally, and intellectually enriched and challenged through life-changing, Christ-centered teaching based upon God's Word, wonderful fellowship, and relevant ministry and mission opportunities for all ages. If you are considering relocating to our area, we woud love for you to consider visiting our church. Throughout this website you will find information about our staff, calander events, interesting articles in the "info center" section, announcements about church acitivities, and photos of past events - we would love to see your face there! The Women's Ministry will meet every first Monday night of the month at 6:30pm in the fellowship hall. Interested in knowing more about spiritual things or finding out who God really is? Check out findithere.com for the answers. Check out the new link to 100 Christian resources and websites - click the "links" tab at the top and you will find it there. Great stuff!